The modular design of RH1210-series allows the probe to be place in a remote location from the meter for the best reading. 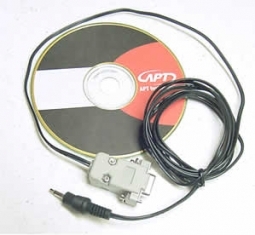 Our top of the line instrument has many features including RS-232 interface. Read RH and Temp simultaneously. 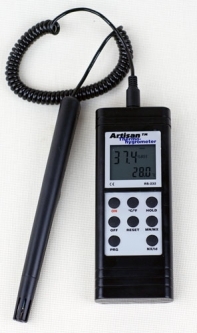 Display DEWPOINT and ALARM in seconds. HOLD / MAX / MIN / ALARM features. RS-232 output. Optional Windows� - compatible software and PC cable. Portable  182 x 71 x 38 mm; 300 g.
Download RH1210 Product Sheet (.pdf; 32 KB).